RightsCon or a right con? 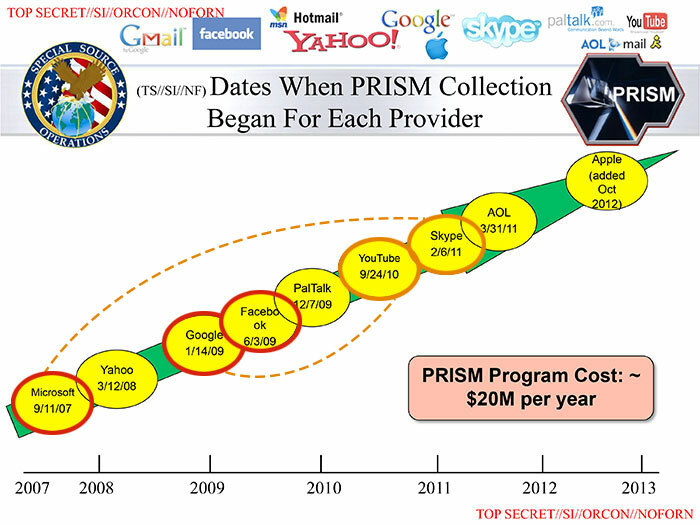 4 Mar, 2014 Are folks in Silicon Valley genuinely ignorant of the relationship between corporate surveillance and government surveillance? Or is it wilful ignorance? Or is this just a textbook example of institutional corruption at work? Are the organisers of RightsCon actively supporting the whitewashing of a business model (monetising data/corporate surveillance) that is directly responsible for the dragnet government surveillance that we’ve been alerted to by Edward Snowden? Corporations like Facebook, Google, and Microsoft are painting themselves as the victims when they are every bit the perpetrators and it appears that some of us are buying into their story hook, line, and sinker. Sometimes it is easier to get others to whitewash your fence for you. The folks at RightsCon seem all too willing to lend the greatest perpetrators of corporate surveillance a new coat of legitimacy. Image courtesy of Google, under fair use. There is a conference taking place this week in Silicon Valley called RightsCon. According to its web site, ‘RightsCon is a multi-stakeholder, participatory, and interactive conference with the goal of protecting the open internet and the digital rights of its users.’ So far, so good. Sounds great! After all, we definitely do need to protect the open internet and the digital rights of users from corporate surveillance by companies like Facebook, Google, and Microsoft. So who is RightsCon sponsored by? Oh, none other than Facebook, Google, And Microsoft. RightsCon: brought to you by these fine purveyors of corporate surveillance. But it’s also sponsored by Mozilla, so it must be kosher, right? Well, let’s see… who is Mozilla sponsored by? Oh yes, Mozilla gets over 90% of its revenue from (drumroll), Google. So it’s almost as if Google is sponsoring the event twice: once through its own name and once via the funds that it has funnelled through Mozilla. Having Facebook, Google, and Microsoft sponsor a conference on ‘protecting the open internet and digital rights of users’ is like having McDonald’s, Coca Cola, and Lucky Strike sponsor a conference on healthy living. Google, Microsoft, Mozilla, and Humanity United: BFFs. If Mozilla and Humanity United are happy to be seen alongside Google and Microsoft in a single slide of the sponsors carousel, surely these companies can’t be that bad, right? Maybe they really do want to sabotage their own business models and risk a shareholder revolt. What’s worse is that by giving Google and Facebook a platform to associate as sponsors with non-profits and people working for social change lends them an entirely undeserved legitimacy and moral grounding when it comes to speaking on this subject. You might as well have a conference on child abuse sponsored by the Vatican. If this is not the must egregious example of what Lawrence Lessig would call institutional corruption, I don’t know what is. The irony, of course, is that Lessig is actually part of the international advisory board of AccessNow, the organisation behind the event. One can only assume that no one thought to run this by him. Ignorance, wilful ignorance, or corruption? Are folks in Silicon Valley genuinely ignorant of the relationship between corporate surveillance and government surveillance? Or is it wilful ignorance? Or is this just a textbook example of institutional corruption at work? Are the organisers of RightsCon actively supporting the whitewashing of a business model that is directly responsible for the dragnet government surveillance that we’ve been alerted to by Edward Snowden? Corporations like Facebook, Google, and Microsoft are painting themselves as the victims when they are every bit the perpetrators and it appears that some of us are buying into their story hook, line, and sinker. This is a trend that I’ve begun to see and one that is being actively promoted by the very corporations that are at the heart of corporate surveillance. The story goes like this: A publicly traded multi-billion-dollar transnational corporation, when caught red-handed sharing information with the government, pleads that they were compelled to do so and had no other choice. We are told that if only these nasty governments could be persuaded not to undertake such draconian dragnet surveillance, everything would be all right. The corporations are the victims here, we are told, just as much as we — the people being spied on — are. And this is complete and utter poppycock. Let me tell you why: because without the very specific, and entirely avoidable, business model that these corporations share, governments would not be able to undertake dragnet surveillance as cheaply as they do or at the scale at which they do it. If you ask these corporations, they’ll tell you that governments are these big, bad bullies and that they shouldn’t have access to our data. But what about the corporations themselves? Why should they have access to our private data? At the very least, with a democratic government you have (let’s be blissfully naïve here for a moment) at least the façade of representation. You have some say, however minuscule or inconsequential as it may seem in this day and age, in determining that government. You have a vote. Can you say the same thing about your favourite transnational publicly-traded corporation? You have no vote there. The scale of the problem becomes even clearer when you understand that these entities are quickly eclipsing the GDP of many countries and are not bound by the laws of any single nation state. In 2010, Google alone made more revenue than the GDP of the 28 poorest countries combined. 97% of that came from advertising. In other words, from corporate surveillance. If we shouldn’t trust elected governments, why should we trust faceless corporations with our private data? ‘So why should we trust you?’, you ask of these corporations. ‘Oh, your data is safe with us’, they say. All we have to do is reform government surveillance and all will be well. But what about reforming corporate surveillance? Although I was initially hugely disappointed in Eric’s reply, it was, in hindsight, rather enlightening. It is true that as Google’s Disneyesque façade becomes increasingly transparent, it will be harder to attract the best of the best to work there. Do the best of the best work at Halliburton? No. Neither will they, in time, work at Google. But the transparency we need to show people the business model inside the Mickey Mouse suit will only come about if we make a conscious effort to shine a spotlight on it. It will only happen if we can counter Google’s whitewashing efforts and its Ronald McDonald persona, complete with colourful hand-drawn doodles on its web site and its championing of community spaces and projects. Events like RightsCon that associate genuine and caring members of the community with these corporations are misappropriating the goodwill that these people have in the community and usurping it to legitimise the whitewashing campaigns of companies like Google and Facebook. They are also complicit in shifting the focus away from the heart of the problem: the companies themselves and their business model of corporate surveillance. And what about Eric’s fear of regulation if their services are deemed to be essential? Well that is already happening. These services are essential components of participating in modern life. And, although we may have the illusion of competition and choice (strengthened by the existence of Google fronts like the almost-entirely-subsidized Mozilla), what happens when every competitor in a given domain shares the same business model of monetising data? How can we, in such an environment, even speak of choice? These are not insurmountable obstacles but neither is it going to be an easy task to counter the dominant business model of the web. It requires investment in alternative, indie technologies, in education, and in legislation to assert that ownership of your own data is a fundamental human right. And yet, we cannot even start down the difficult path of creating alternatives to corporate surveillance if we remain either too naïve, too stuck in vested interests, or too corrupt to even admit that corporate surveillance is the problem. It’s the business model, stupid! 18 Oct, 2013&hairsp;—&hairsp;The Realtime Conference, Portland. Some of us seem to harbour some sad form of Stockholm Syndrome when it comes to the companies responsible for corporate surveillance. We want to give companies like Facebook and Google the benefit of the doubt. ‘Maybe they can change’, we think. This betrays a fundamental misunderstanding of what their core business model is and how unchangeable it is. Companies like Google and Facebook are built on monetising user data. That is how they make their money. That is how they pay the thousands of people who work there. That is how they provide value for their shareholders. You might as well ask a leopard to change its spots for all the good it will do: the leopard neither has the inclination to do so nor could it, even if it wanted to. You do not simply alter the core business model of a multi-billion-dollar publicly-traded company while it is hurtling full-speed ahead from earnings call to earnings call at a million miles an hour. Sometimes, you need a revolution. If we want to live in a world where privacy is the default and where we enjoy civil liberties and human rights, we must stop supporting the companies at the heart of corporate surveillance. They are every bit as complicit in the state of dragnet government surveillance that we find ourselves in today and they deserve neither our respect nor the legitimacy of being involved in the conversation. It is time for a new type of business model and new tools, technologies, and services that put the privacy and rights of users first. This is not going to come from the Web 2.0 dinosaurs that brought us corporate surveillance in the first place but from a radical cultural shift that splinters from the free and open source community. 30 years ago, free software revolutionised the world. 20 years ago, open source made it accessible and palatable to businesses. Today, the challenge for the next evolution of free and open source is to make open technologies accessible to consumers. This is Indie Technology. Hat-tip to Ken Mark Walsh for inspiring the title of this piece with his tweet.